Postcrossing Spotlight: BeckyS from the USA! Blog > Postcrossing Spotlight: BeckyS from the USA! Becky (aka BeckyS) is a postcrosser from Port Orchard, a small town in the Puget Sound region of Washington state. She is a trained electrician, but a homemaker at heart and has a very cool hobby… Read more to find out! I no longer remember how I found out about Postcrossing. I imagine that I read it somewhere on the internet. What I do know is that I am glad that I joined Postcrossing. It gives me the opportunity to “travel” the world and to connect with people from all walks of life. Each November, I edit my Postcrossing profile to include Christmas themed postcards. This holiday season I have received 193 Christmas postcards from Postcrossers. Often, Christmas postcards arrive as late as March. Which is okay, because I keep them up on my wall for the entire year. I keep a good assortment of stamps and I also collect recipe postcards. Over the years, my Postcrossing Family has introduced me to many delicious foods. One of my favorites is the Steam Pudding postcard, GB-348590. I love food and trains. Once upon a time, I received 18 postcards in one mail delivery. Which made my mailbox very happy! One of the first postcards that I received through Postcrossing, and the first that I received from Russia, was from nata_, RU-56490. She drew and painted the postcard. Also, on the flip-side of the postcard, she wrote an original fairy tale. She continued to send handcrafted postcards to my granddaughters for a couple of years. Her work is really quite amazing and she must have spent countless hours creating them. I enjoy everything about the Postcrossing experience. Although, my favorite part has been reading the emails. It gives me great pleasure to discover that my postcard brightened a fellow Postcrosser’s day. I am always impressed by the kindness and generosity shown by Postcrossers. In my profile, I mention that I share the postcards that I receive with my mother. I also mention that she is a fan of Elvis. 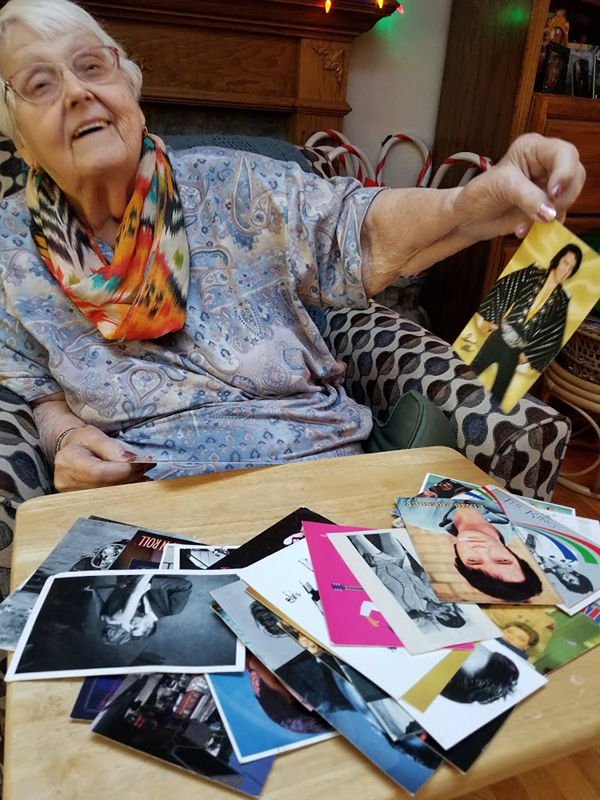 Guess who now has an impressive collection of Elvis themed postcards? Look at how happy Postcrossers have made my mother! Ever since I received my first meetup postcard, I have wanted to attend a meetup. 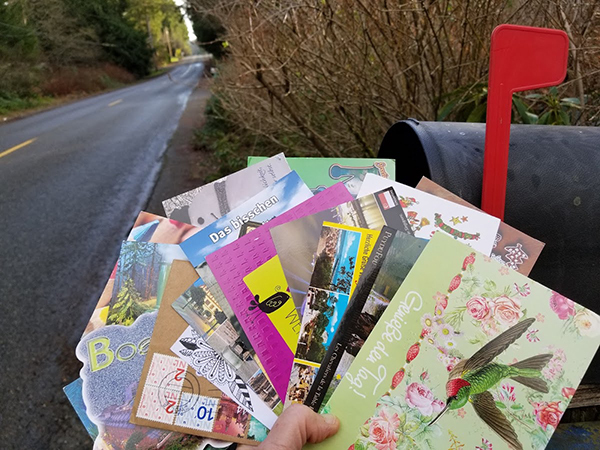 This past Summer, I discovered the Puget Sound Postcrossing Group in Seattle. I have attended two of their meetups and enjoyed myself tremendously. We share stickers, write postcards and chat about Postcrossing over cups of coffee. If you ever get a chance to attend a meetup, please do, you will enjoy the best of times. People are my passion. My husband says that I have never met a stranger. I savor that moment when I make a human connection with someone. It is simply delicious to see a smile light up their face. I’m looking forward to making more connections through Postcrossing. Keep a lookout, someday, I just may send a smile through your mailbox. Happy Postcrossing! Hello, Becky— What a delightful interview! 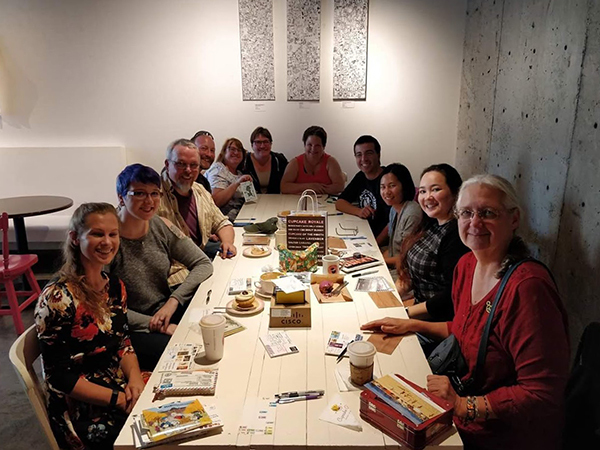 Looking forward to meeting you at a future Puget Sound Postcrossing Meetup. PNW represent! enjoy what you want to do most n I am sure, like me, Post Cards through PostCrossing are our Passion. love this :) such a happy mailbox and blessed life!
" I savor that moment when I make a human connection with someone." So true! And I agree wholeheartedly!!! God bless you, Becky and your family. Dear Becky! Thank you for this wonderful story. All the best wishes and a hug from me! Thanks for the great story!!!!! Wow, I am so impressed! I am grateful to Postcrossing for introducing me to amazing people like yourself. I lived in the Seattle area until 2 years ago and your interview warmed my heart. Keep writing postcards and enjoying life! Dear Becky, your story warmed up my heart, what a lovely story. I wish you and your farmily lots of joy and many many postcards. Take care and good luck. It's a fantastic story of life on the Earth! What a lovely story - thanks for sharing! Wonderful! So nice to read this great story about Becky & her mum. My husband has never met a stranger Becky, so you are not alone! Thanks for sharing! Hi Becky and Mom, I love your story. I love the e-mails too, it give me always a smile when my card safely arrived and that they like it also, Anneke. Planning to go to a meetup in Seattle some time. "I keep a good assortment of stamps"
Hello Becky and Mom: What a nice interview! I love Christmas postcards too and I even ask for them all year long. Becky......I love your stamp collection! I collect (USA) stamps, but you sure have me beat! if i ever get you BeckyS to send a postcard to, it WILL definitely be an elvis postcard . Oh wow this was so cool! Thank you so much for sharing! Now I'm really looking forward to a meetup! How fun to read about Becky! Also, I haven't played pinball in many, many years. I had no idea there were clubs! Thank you for this great interview - and what's more: I think I spotted one of my penfriends at the Puget Sound Postcrossing Group picture. She kept sending me cards from there and just moved to Germany, so I hope to meet her in person, soon. Postcrossing truly connects in a way that is rarely matched elsewhere. Oh God! !This is such a cute and heart-warming post!!!!!! Becky is a great choice for a Spotlight. I loved reading her story. That there are Pinball clubs and competitions was a surprise to me. I’m a lousy Pinball player. Thank you, dear Becky, for this lovely spotlight. I was one of the happy people who received a wonderful card from you. 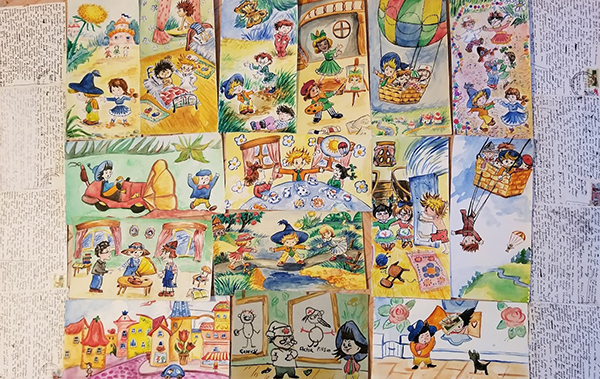 Thanks for sharing!It reminded me of my lovely experience on postcrossing many years ago.People I met here are also my passion.That is also why I restarted to play postcrossing this year! Dear Becky, I loved to read this article, really truly cheered my day! Thank you! What a lovely story - I wish I could meet you in person. But we are too far apart, that's for sure. In the meantime, keep Posting and Crossing! Hugs. I love getting to know other Postcrossing members through the spotlight. I hope I'll get to receive a postcard from Becky one day, or send one to her. 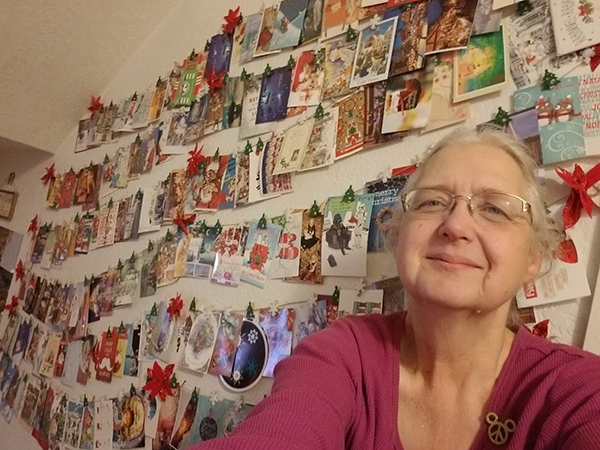 Love the Christmas cards wall. My friend's dad lives in in puget sound area and owns a pinball arcade. It's been real long you're here & most importantly you've cherished every card you've received. I sincerely hope you keep enjoying the exchange & spreading joy. I would be happy & honoured to be a part of your collection. Wishing you all, good health & lifetime of happiness. "My husband says I have never met a stranger". What an absolutely beautiful sentiment. Lovely, just lovely. I am in the PNW. I will look for the next meet-up! Thank you! Thanks for the great profile story. Always enjoy reading about postcrossers from around the world. What a great story! I've heard of Port Orchard also as that is where my favorite author Debbie Macomber lives. Great to see you featured here Becky. Glad to have met you at the Seattle meetups. Your Postcrossing dedication is incredibly inspiring! 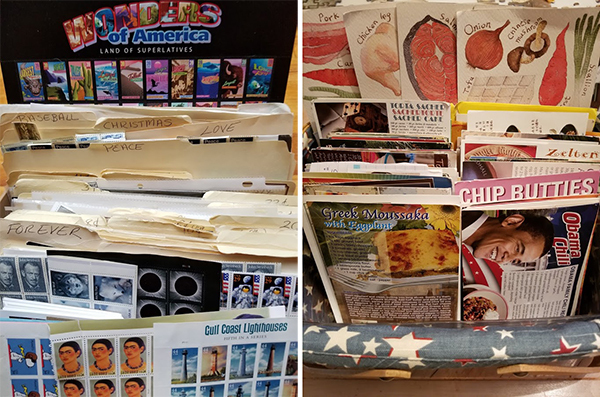 I like that you keep your stamps by category; I keep mine by denomination in two huge binders, but now I'm seriously considering reorganizing them so they will be easier to find according to interest. I love pinball, too! It's so satisfying to leave a pinball game with 5 or 6 credits still on it for the next person because 'you just can't possibly stay and play another hour', haha! Your spotlight piece was awesome. I love the handmade cards with the fairy tales and the recipe cards....that sounds like fun. I actually purchased many of the Ohio buckeye recipe cards to send out. Very nice to read! And impressive! - Happy Postcrossing! Delightful story! I love your wall of postcards. This is so cool !!! Wonderful story! Hi Becky! I'm just a couple of towns away on the kitsap peninsula as well. I am glad you shared about the post crossing group. I didn't know there was such a thing. I will have to tray to make it out to one of their meet ups. I hope to see you there! You said in the interview: "Keep a lookout, someday, I just may send a smile through your mailbox. Happy Postcrossing!" Well, this smile arrived today in my mailbox :) thank you so much! I loved reading this!!! 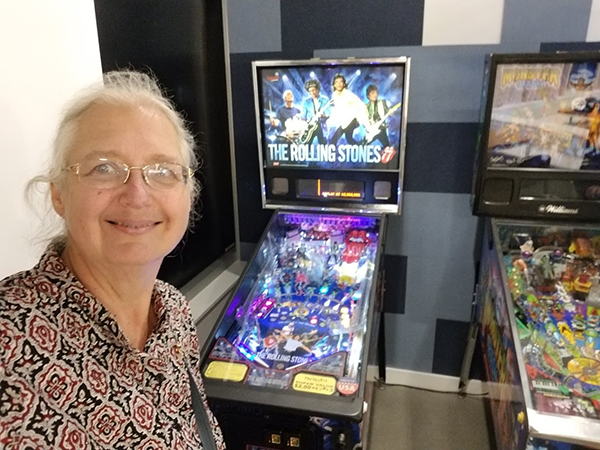 Great job, Pinball wizard! This inspires me since I have sent out 6 postcards now and have yet to receive my first. I love mail. Those story art ones seem so neat! !